Eliminates minor surface defects while restoring gloss. 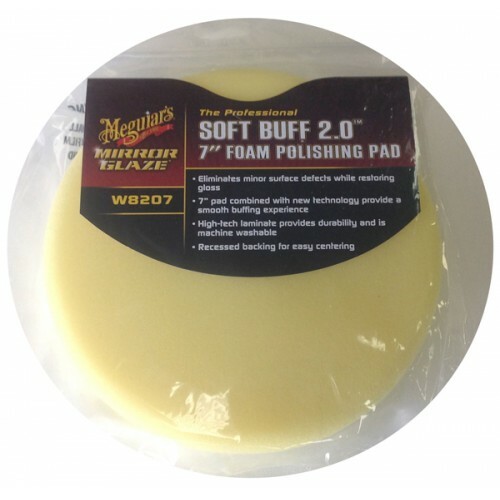 7" pad combined with new technology provide a smooth buffing experience. High-tech lamiante provides durability and is machine washable. Recessed backing for easy centering.